A quote allows you to add prices, rental agreements, and policies to a booking. You can add one or more quotes to a booking after it has been created. 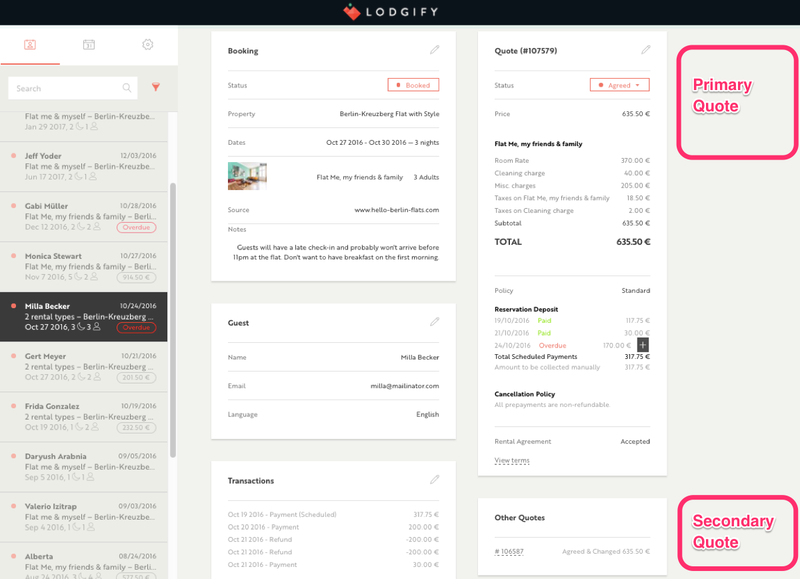 This could be ideal when your guest wants to compare options, for example for different dates. If you have created a booking without a quote, you can add one later. Quotes can be added either in the Reservation System or the Calendar. 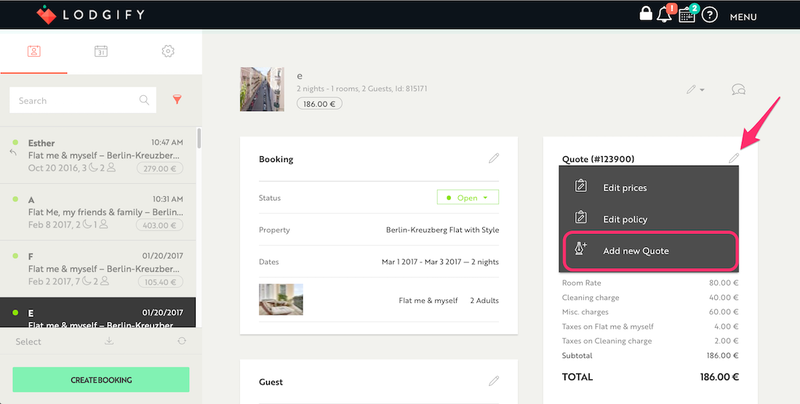 Select the booking you want to add the quote to, and click Create Quote. Click on the booking you want to add the quote to, select Quote and click Create Quote. Choose if you want to activate the Policy Workflow, then click Save. The booking now contains a quote. If you want to add a new one, click the pencil icon and select Add new Quote. 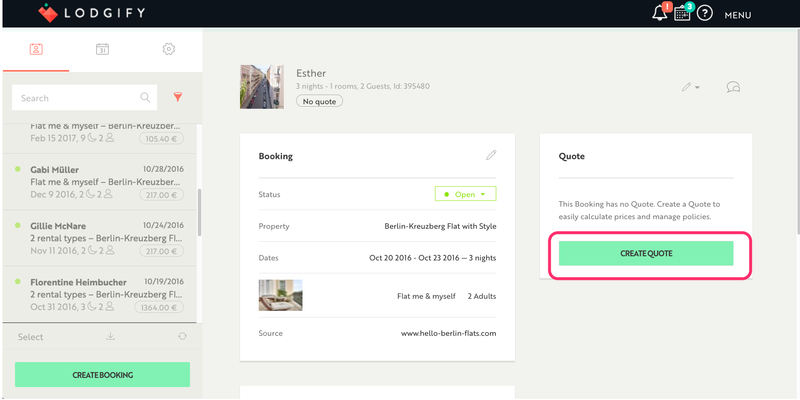 💡 Note: you can send multiple quotes to your guests. Once the guest decides their favorite one, it will automatically deactivate all the others. When a booking contains more than one quote, you should decide what is the primary one because that will block your calendar's availability. 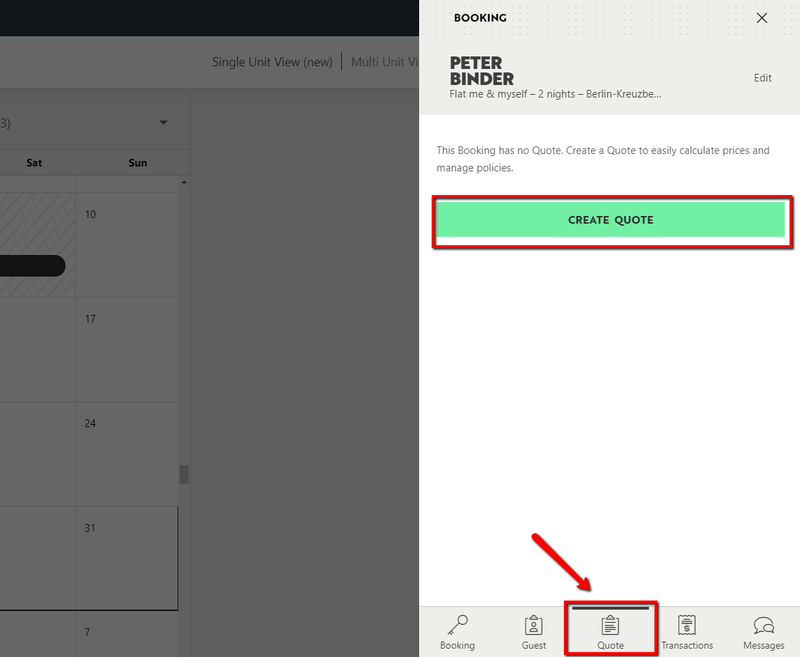 Select the booking which primary quote should be changed. The primary quote shows the complete details of the booking while the secondary ones only show the Quote numbers. Select one of the Other Quotes. A slide-in window appears to the right side of the screen. Click Set Quote as primary. 💡 Note: You may have sent to the guest emails containing different quotes. Once the guest decides their favorite one, it will automatically deactivate all the others.